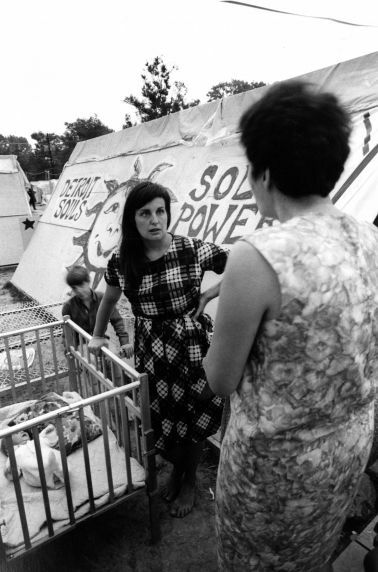 Two women talk outside of a shanty in Resurrection City during the Poor People's Campaign. Two small children are present, including a baby in a crib. The exterior of the shanty is painted with the slogan "Detroit Souls - Solar Power."